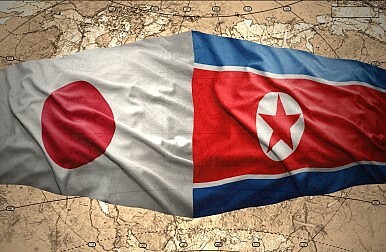 Both North Korean and Japan use each other primarily to posture towards third parties. As Clint reported, the Japanese government announced on Monday that it will hold another round of talks with North Korea later this month. Back in March, Pyongyang and Tokyo held their first government-to-government talks in 16 months. According to The Japan Times, Foreign Minister Fumio Kishida told reporters on Monday that Japanese and North Korean diplomats will meet in Stockholm on May 26-28 to discuss a wide range of issues, including North Korea’s past abductions of Japanese citizens and its nuclear and ballistic missile program. The meeting is noteworthy, Clint rightly noted, mainly in that it is being held in Europe instead of Asia. The two sides usually hold their bilateral meetings in Asia, particularly China. The media reports gave no indication as to why the two sides decided to meet in Stockholm this time around but North Korea does maintain diplomatic relations with Sweden. While it’s impossible to know with any degree of certainty, it’s possible that the decision to hold the talks in Europe rather than China was strategic in nature. One of the reasons that North Korea has mounted something of a charm offensive towards Japan in recent months is to help maximize the small degree of leverage the country holds over China. Beijing has noticeably strengthened its policy against North Korea under Xi Jinping, particularly regarding the country’s nuclear weapons program. Indeed, just this week Russia and China released a joint statement expressing common concern over North Korea’s nuclear program. By reaching out to Japan at a time when the latter is embroiled in a bitter dispute with China, North Korea is seeking to demonstrate to its patron in Beijing that there are potential consequences for talking a harder line against Pyongyang. Japan too has an interest in demonstrating it can complicate China’s strategic calculus in any way possible, with North Korea being one such way. Indeed, there is a long history of Japan and the Democratic People’s Republic of Korea (DPRK) using each other for other ends. Take South Korea, for example. Japan and the United States have sought to exploit the common threat North Korea poses to Tokyo, Seoul and Washington to improve relations between South Korea and Japan. Just this week the U.S. tabled another proposal for increased trilateral intelligence sharing regarding North Korea’s missile and nuclear programs. Such proposals have always failed to date, owing to deep mistrust between South Korea and Japan, but nonetheless Pyongyang remains a useful lever for Tokyo to use in trying to improve relations with Seoul without conceding on any of the historical issues. One of the things the DPRK promises to its citizens is that it will prevent another foreign power from dominating the country like Japan dominated the Korean Peninsula during the colonial era. This is one of the reasons why the Korean War is given such importance in North Korean propaganda. According to the Pyongyang-sanctioned version of the Korean War, the U.S. invaded North Korea to colonize it just as Japan had done previously. And, according to this story line, this plan would have worked had it not been for the genius leadership of Kim Il-Sung in fighting off the aggression. Japanese colonialism and the memory of it also presents North Korea with a number of opportunities with regards to South Korea. To begin with, North Korea attempts to undermine the legitimacy of the South Korean government by portraying its relationship with the U.S. as a continuation of colonialism that began with Japan. In the North Korean regime’s portrayal, South Korea is still a colony to a foreign power who is exploiting it. North Koreans would be suffering the same fate were it not for Kim Il-Sung’s leadership during the Korean War (not to mention, his fierce resistance to Japanese colonialism). North Korea seeks to exploit and perpetuate that. For instance, when Japan apologized to South Korea in 2010 for its former occupation of the Peninsula, North Korea was quick to emphasize the egregiousness of the occupation and the insufficiency of the apology. Thus, Japan offers the North Korean government a rare opportunity to make common cause not just with the South Korean government but more importantly with the South Korean people as a whole. This is crucial given Pyongyang’s nominal claim to be the legitimate government of the entire Korean Peninsula. The larger point is that both North Korean and Japan use each other primarily to posture towards third parties. This is more important to both states’ interests than actually establishing diplomatic relations with each other. Why Tehran Loves Iran HawksAn End to the “Lost Decade” in Japan-North Korea Relations?China and Japan Seek Detente? The Dangers of Excluding Iran From Geneva IIUS-Japan Trade Agreement Negotiations: Why Now?